I do not think, or argue, or complain. I long for neither sun, nor moon, nor sea. Still hot from all the bitterness and bliss. Twixt love and love lie on the crucifix. Have sucked my heart’s blood dry. Marina Tsvetaeva (1892-1941) is considered to be one of the most original 20th Century Russian poets. Her extremely eccentric personality and difficult character found release in her poetry writing. Tsvetaeva’s perfect control of language is one of the key elements of her poetry, as are the striking images her short, full-throated poems practically overflow with. Themes of love, female sexuality and the private, many times inexpressible (though not by Tsvetaeva) emotions of the feminine mind and heart rise to dizzying heights of tenderness and then plummet down into the blackest forms of despair a never-ending rollercoaster ride of insight and emotion. But it is the rhythm and cadence of Tsvetaeva’s language that makes her poetry truly unique - changing pace and musicality to match her images and her meaning, Tsvetaeva’s fluid, “ring-singing” lines reflect the depth, accuracy and emotional capacity of the Russian language, which presents quite a challenge for translation, as the meaning of her poetry is intertwined with its musicality to form a single organism, which is lost to the reader when one of these components is left out. At times soft and lilting, like a trilling folksong, at others – short and breathless, as though ripped from the heart, Tsvetaeva’s rhythms incarnate the vast boundlessness of her homeland. 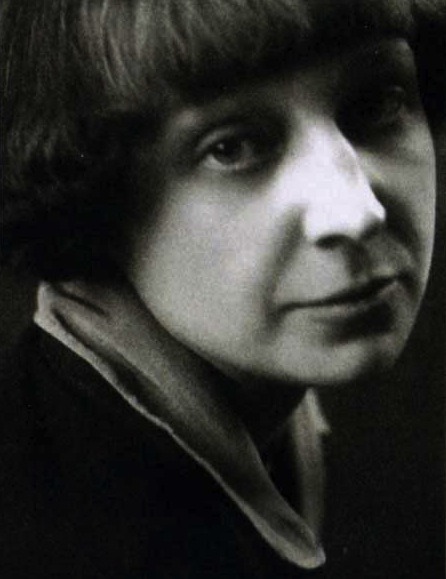 Tsvetaeva did not accept the 1917 Revolution and thus emmigrated to avoid persecution, spending an emotionally and financially devastating 17 years in exile. Her return to Soviet Russia in 1939 was a forced flight of evacuation following the Nazi invasion, and her suicide coupled with her exile made her a prohibited poet for most of her life. Only in the 1960s was her work was brought back into the literary sphere. Ekaterina Rogalsky was born in Moscow, Russia and has been writing poetry since the age of twelve in both Russian and English. She has lived in America since the age of six. Currently, she continues her literary and cultural development in both languages, retaining her fluent Russian and majoring in Literature at the College of Creative Studies at the University of Santa Barbara. Her work has been published in several literary magazines in Russia, including Literaturnaya Ucheba (Vol.6, 2003), the Anthology of Yunost, “Teny Strannika”(Vol.12, 2003), Cosmos and Man (Vol.24, 2004) and Profsoyuzy (Vol.7, 2004), and has had several publications in English, including the Colors of Life Anthology of Poetry and Colors of the Heart Anthology of Poetry in 2004. Ekaterina is also a member of the Yunost Literature Association, and has published two books of poetry, Pervyie Kapliy Dozhdya (First Drops of Rain) in 2004 and Spolokhi (Gleamings) in 2005. Her experience with poetry has raised her awareness of the importance of sound and rhythm within a poem, and in her translations, Ekaterina draws on that awareness to preserve, as nearly as possible, the sound patterns, rhythms and cadences of the poetic original. Ekaterina has been translating both prose and poetry since 2001, and sees translation as the natural synthesis of creativity in both Russian and English, a bridge of language linking the two cultures.